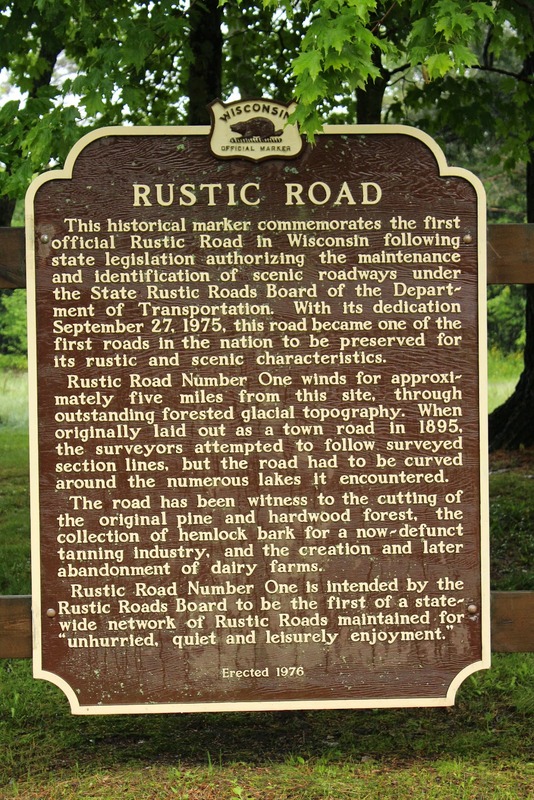 This historical marker commemorates the first official Rustic Road in Wisconsin following state legislation authorizing the maintenance and identification of scenic roadways under the State Rustic roads Board of the Department of Transportation. With its dedication September 27, 1975, this road became one of the first roads in the nation to be preserved for its rustic and scenic characteristics. Rustic Road Number One winds for approximately five miles from this site, through outstanding forested glacial topography. When originally laid out as a town road in 1895, the surveyors attempted to follow surveyed section lines, but the road had to be curved around the numerous lakes it encountered. The road has been witness to the cutting of the original pine and hardwood forest, the collection of hemlock bark for the now-defunct tanning industry, and the creation and later abandonment of dairy farms. The marker is located at a highway pull-off on eastbound State Highway 102, at its intersection with Berry Avenue, Rib Lake, Wisconsin 54470. 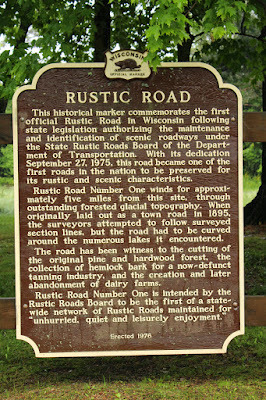 Presently, Wisconsin has 112 marked Rustic Roads covering over 641 miles in 58 counties.